During SPILL 2018 over 500 of us took part in the Pyre Parade, marching through the streets, carrying effigies, before a ritual burning of bad news shared by festival goers. We feel it went really well and lots of you have since told us you’d like it to become annual - so we are going to make another one this coming Autumn. Join us at this event for a relaxed conversation where we will share some ideas that are brewing, and you can tell us what you’d like to see. What should the effigies be? Should there be floats? Should the route stay the same? Could the event serve more people, and if so how? If this is to be a meaningful community event again then it needs lots of people to feed in and participate. 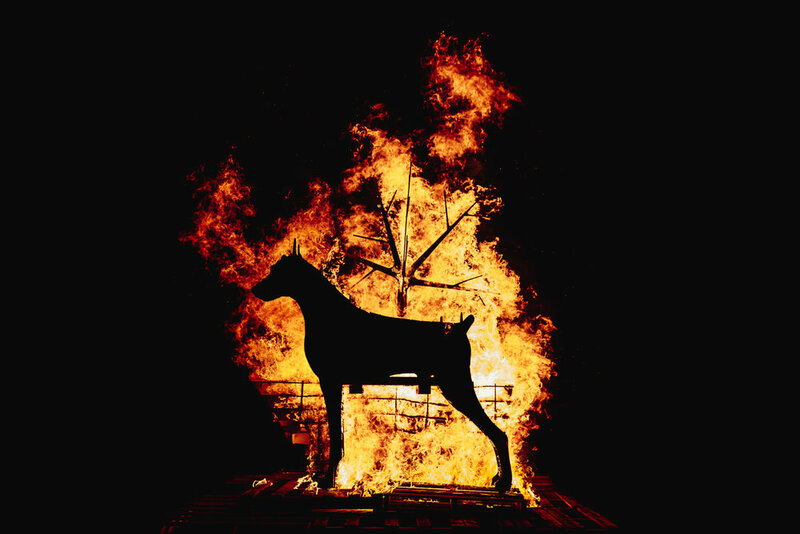 This event is for anyone with an interest in the role of ritual, the heritage of the area, outdoor work, public participation, masks, effigies, and how to get permission to burn stuff. Please come and tell us what you want.